The "Deadly Ever After" haunted trail is a collaboration between Sentosa 4D Magix and Singapore Cable Car at Sentosa island's Imbiah Lookout. The Sentosa 4D Magix theatre and Singapore Cable Car Museum will be transformed into a 288-metres horrifying story trail, where thrill-seekers walked along the trail that is set in the 1970s, only ready to get mortified and stamped with the indelible mark of fear. Follow the journey of a ghost marriage where an innocent young lady, Ah Ling, was forced into a Chinese ghost marriage with a dead man. When it was later found that Ah Ling was mysteriously pregnant with the child of her dead husband, she went insane and the real haunting journey starts. This trail, is therefore not for the faint-hearted, but only for the bravest of hearts... Especially since you would be walking through a haunted funeral home, the ghostly marriage ceremony, surgery theatre, amongst other frightening room settings. Admission to 'Deadly Ever After' Haunted Trail for either on 19, 20, 26, 27 or 28 October 2012. Winners will be revealed through my Twitter and my Blog on 15 October 2012! 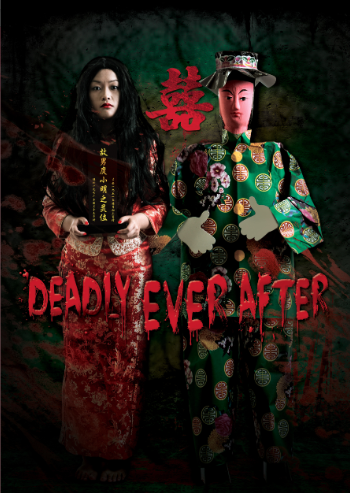 No Response to " *GIVEAWAY* Get Freaked Out "Deadly Ever After" at Sentosa "